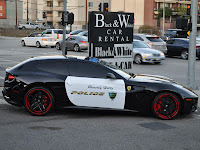 WARNING: This is NOT a real police car! 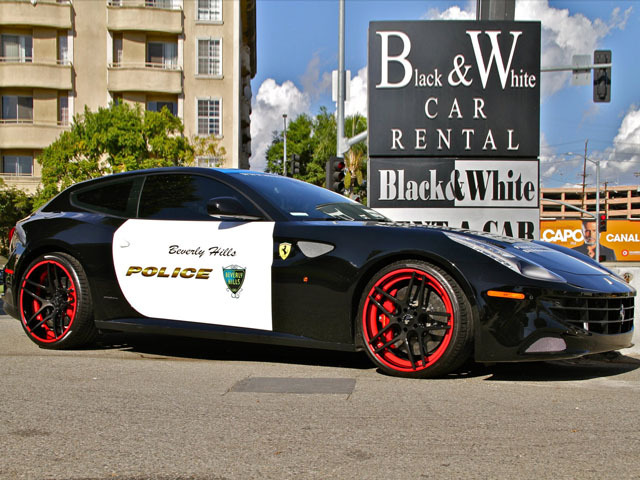 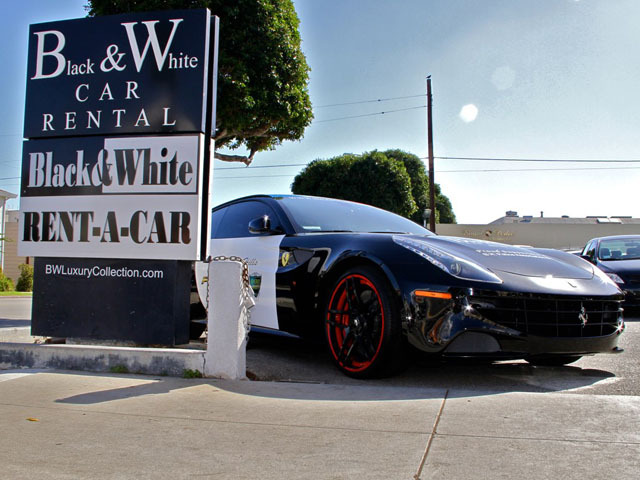 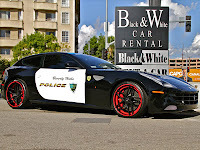 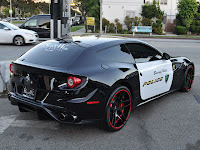 It was introduced by Black & White Car Rental agency in Beverly Hills to support the local police charity. 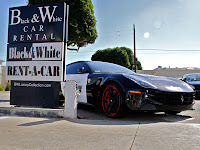 Underneath the black and white livery lies a Ferrari FF with its 6.3-liter V12 producing 660 hp and a set of black Forgiato Wheels with red accents. 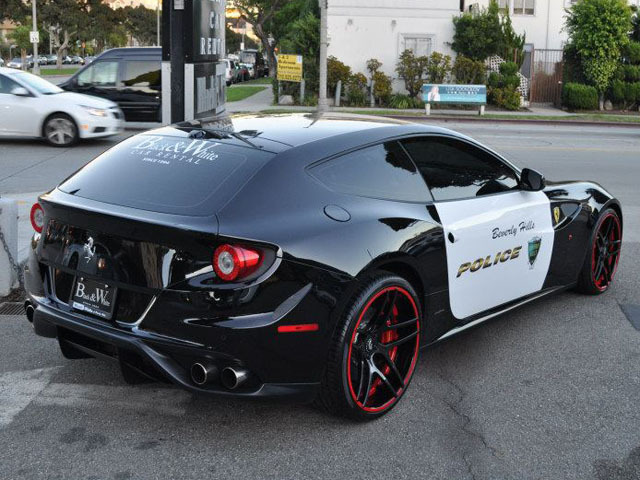 We love the idea of a 660 hp Ferrari police car capable of doing the 0 to 100 Km/h (62 mph) sprint in less than 3.5 seconds. 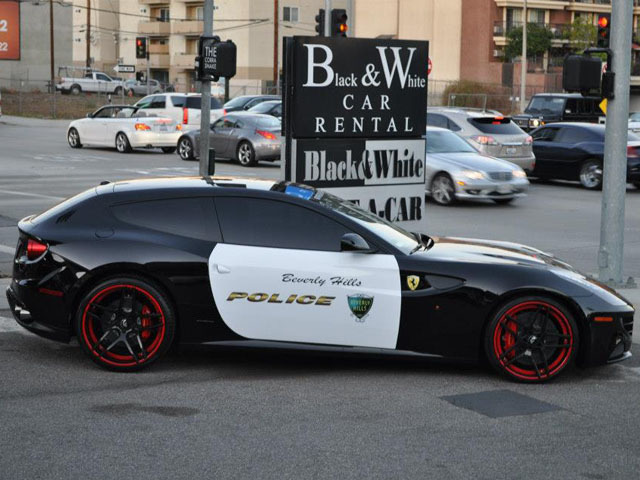 Who said the job was reserved just for Lamborghinis!